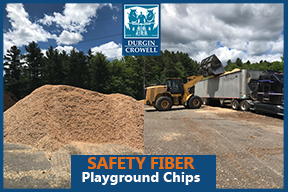 Durgin and Crowell Safety Fiber is an all-natural engineered wood fiber made from virgin ground softwoods which makes a beautiful and economical playground surfacing solution. This product is IPEMA certified to ASTM F1292, ASTM F2075 and ASTM F1951 – 14 standards. 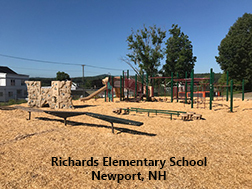 We deliver anywhere in New England so feel free to email jonbaker@durginandcrowell.com or call us at 603-763-2860 for more information or a price quote! 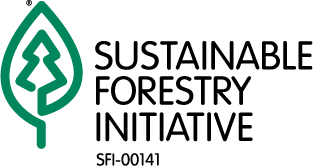 To learn more about our certification visit the IPEMA website at ipema.org.